There are several unique neighborhoods in Seattle, but none or more original than Fremont (the self-proclaimed “Center of the Universe”). It’s sadly one of the neighborhoods Tove and I visit the least, but we’re out to change that. That’s why we recently took to the streets for a fun walk around Fremont, and it quickly revealed itself as a great date idea. 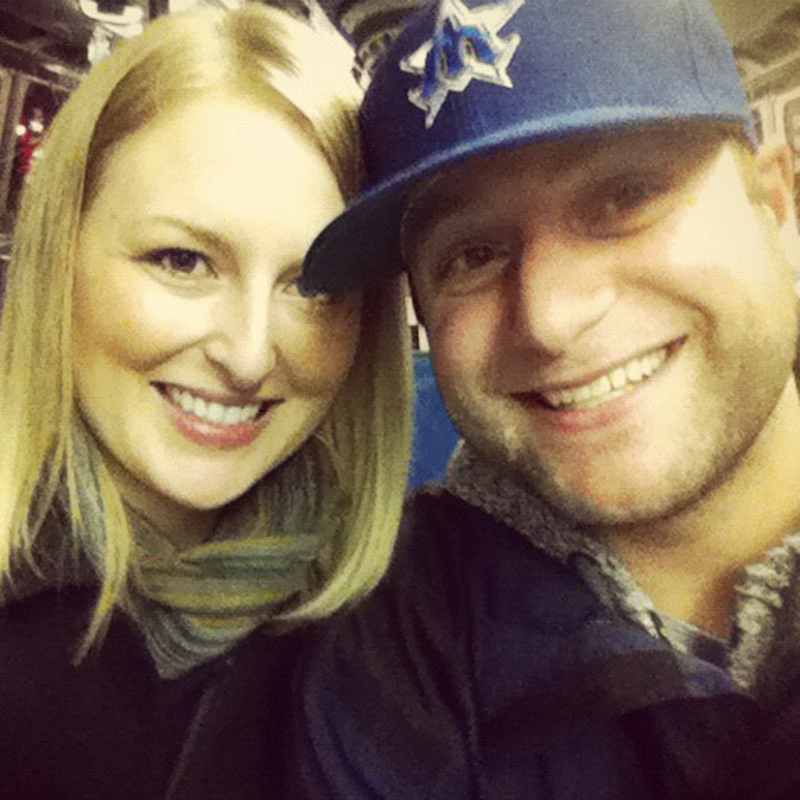 That’s right, ladies and gentlemen…it’s the latest installment of It’s a Date! Tove and I started our walk around Fremont with a stop at Fremont Coffee Company (459 N. 36th St.). Located in what seems to be an old house, Fremont Coffee Co. makes some of the best “bean juice” (that’s what our barista called it when we were there) we’ve tried in Seattle, and it’s a great place to begin your date. It’s a quiet atmosphere with multiple rooms, so you can sit and chat or take your coffee on the road. NOTE: Keep your eyes peeled for the free ‘Walking Guide to Fremont’ maps. You can find them in little kiosks around the neighborhood, including the one right outside Fremont Coffee Co. If you can’t get one on the streets, you can easily find the walking map online. The guide gives you an extensive overview of Fremont, highlighting pubs, art, shops and much more. Tove and I took our coffee to-go and continued our walk around Fremont. We started hopping in and out of shops, but especially loved the cool, local t-shirts at Destee Nation (3412 Evanston Ave. N.) and perusing the old-school items at the Fremont Vintage Mall (3419 Fremont Pl. N.). From cigars to antiques (and anything in between), there are plenty of great shops and boutiques in the neighborhood to keep you occupied for hours (sorry, fellas). Fremont is also loaded with art. 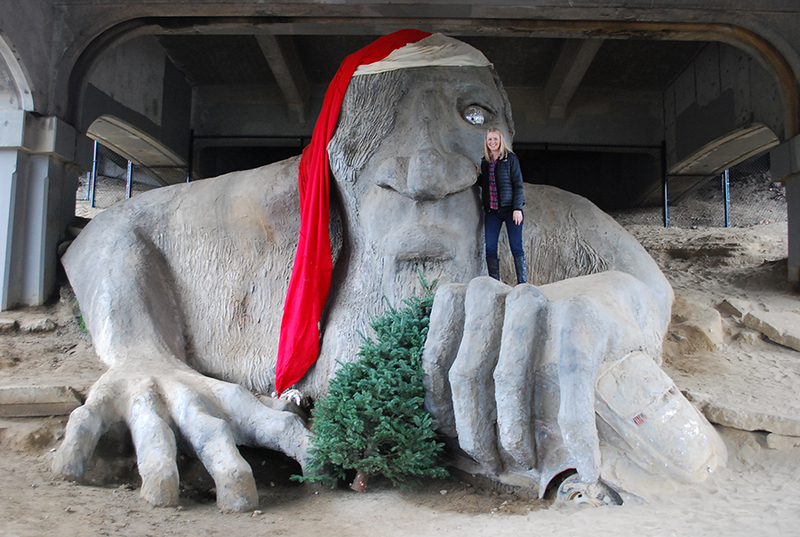 Whether you’ve already seen it or not, your walk around Fremont needs to include a trip to the Fremont Troll (3405 Troll Ave. N. — under the Aurora Bridge). In my eyes, the troll sculpture is exactly what makes Fremont…Fremont. 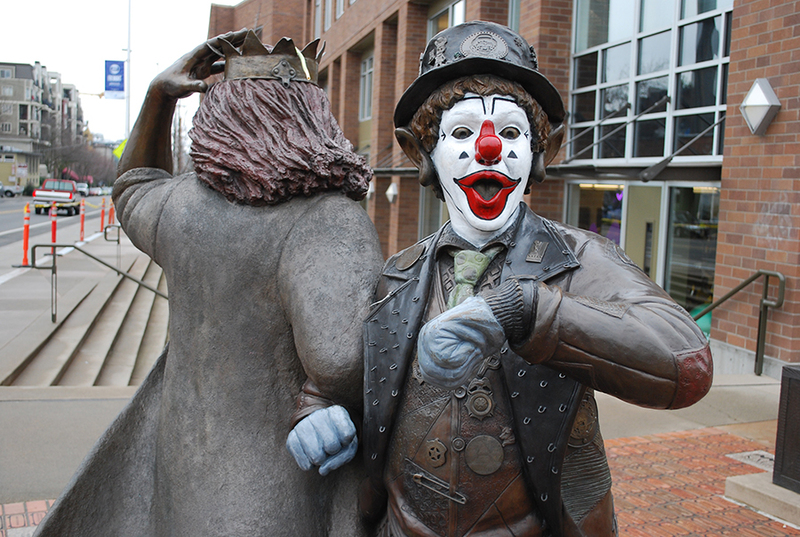 You can’t miss the J.P. Patches statue (N. 34th St. — just east of the Fremont bridge), the Fremont Rocket (Evanston Ave. N. & 35th — near Destee Nation), or the ever-changing Waiting for the Interurban (on the corner of N. 34th St. and Fremont Ave. N.) either. After all that walking, it’s time for food! There are restaurants galore around Fremont, but Tove and I stopped by Homegrown. 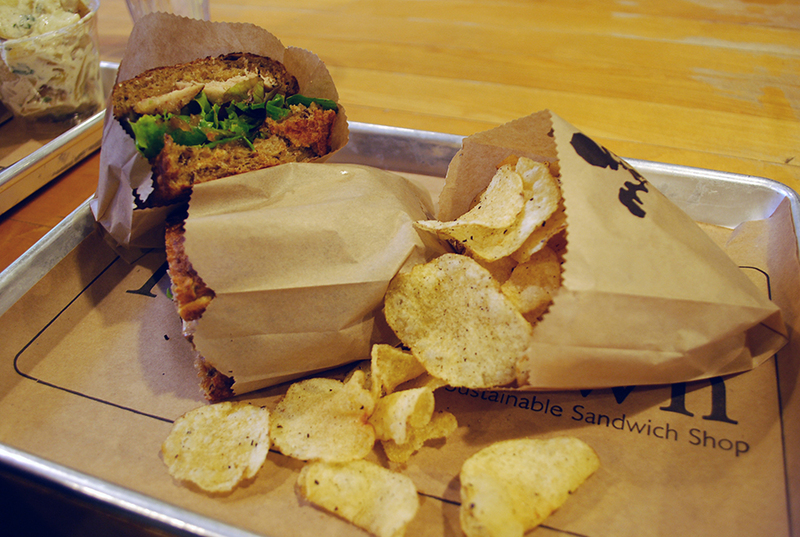 It’s a sustainable sandwich shop with a few different locations around the city. This was our first stop at Homegrown and we loved it. I ordered the Roast Pork (Stumptown Coffee and cayenne rubbed pork loin, apple butter, pickled red onion, sage aioli, and greens), while Tove opted for the Ham + Beecher’s (ham, Beecher’s cheese, caramelized onion, sage aioli, and greens). On top of tasty sandwiches, Homegrown also serves soups, salads, breakfast sandwiches (all day) and more. There’s no better way to wrap up your walk around Fremont than with a stop at Theo Chocolate (3400 Phinney Ave. N.). 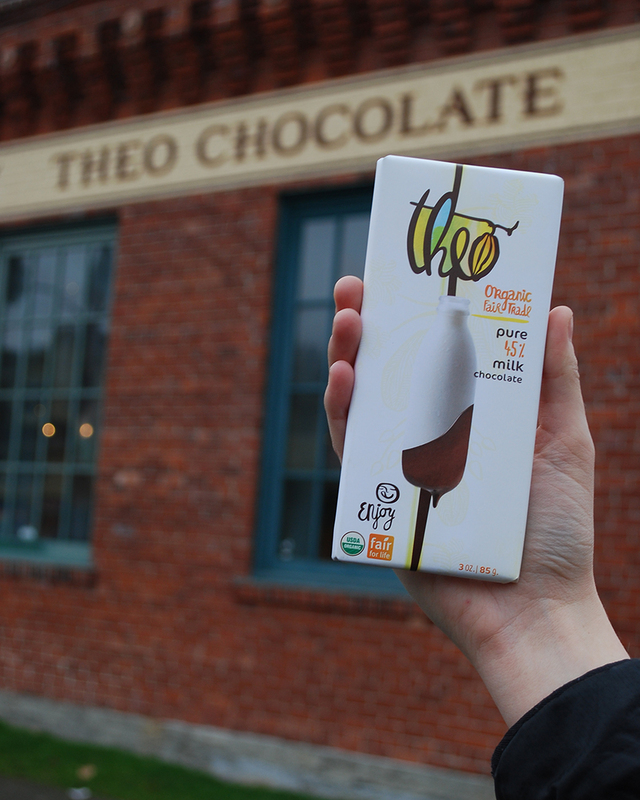 We highly recommend taking a factory tour, but if you don’t have time for a tour, you should at least stop by the shop for dessert. You can try several of their samples for free, and there are a ton of options. Tove and I are really partial to the Big Daddy. Just fair warning — they’re really addictive. 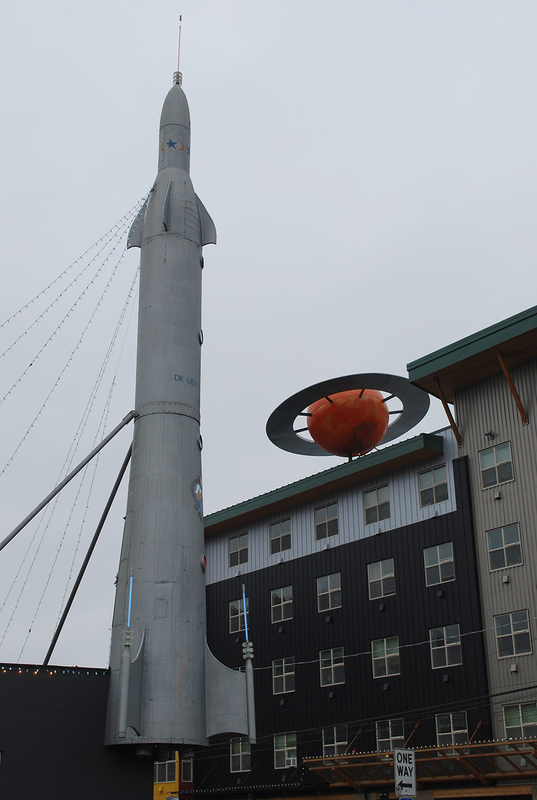 Have you ever taken a walk around Fremont? What are your favorite places to stop? We’d love to hear from you! Please leave a comment below or connect with us on Twitter, Facebook, and Google+. Don’t forget to check out Seattle Bloggers for other It’s a Date! ideas and so much more!